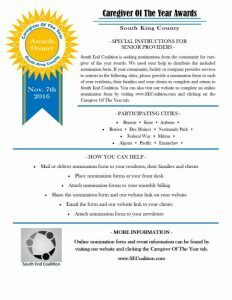 South End Coalition, a senior healthcare networking group, in cooperation with South King County healthcare professionals are recognizing the exemplary caregivers we work with each day. 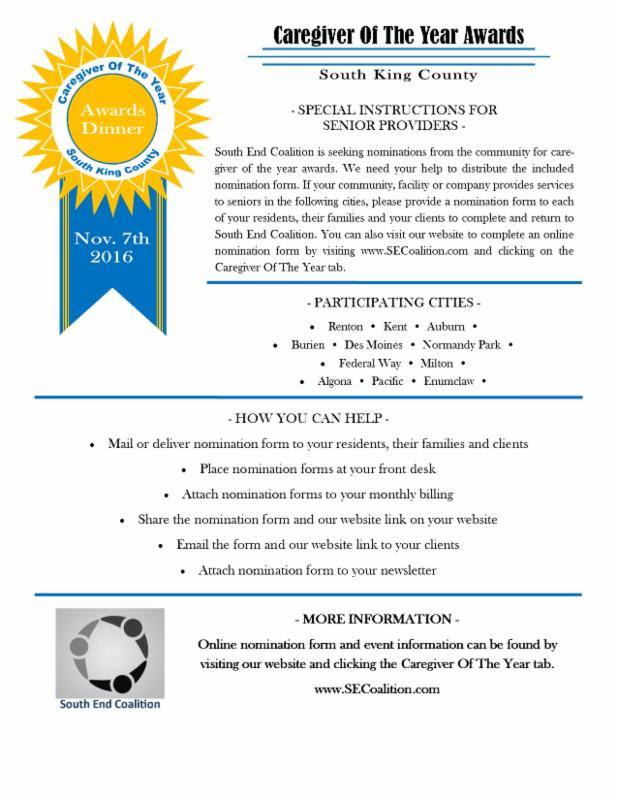 They are currently accepting nominations for their first annual Caregiver Of The Year Awards ..One winner from each of the five categories will be announced at an awards dinner on November 7th, 2016. All nominees will be recognized. Tickets for the dinner will go on sale in October. However, you can visit their website now to learn more about this event and place your own nominations.